Malda Women’s College-MWC Malda, affiliated to University of Gour Banga (UGB) Online Admission to various subjects (Honours/General/Major) . 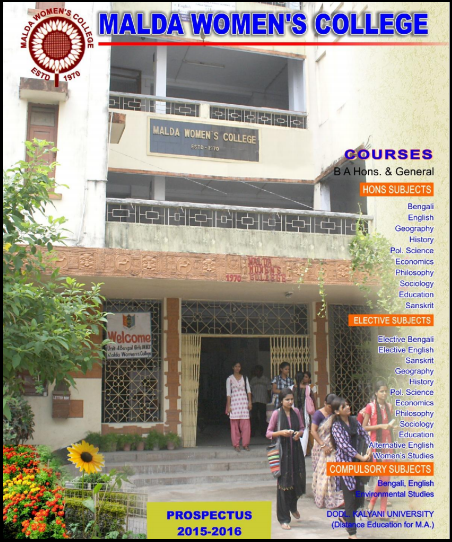 Malda Women’s College Admission Procedure, Malda Women’s College Admission 2015 Subject Wise merit list (1st round & second round) , Direct admission process, payment fees and other details. 4. 2nd Round Counseling & Admission : 1st July to 7th July 2015.